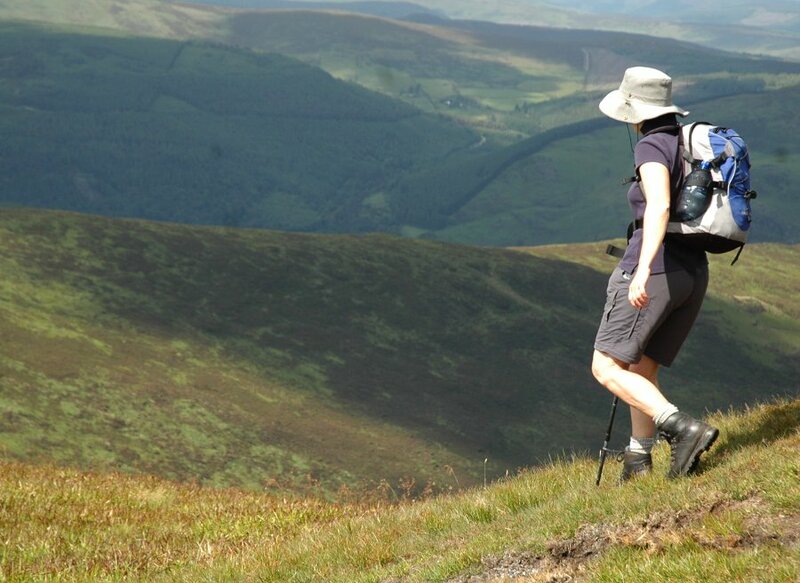 The Glenmalure Lodge is an extremely popular destination for walkers. 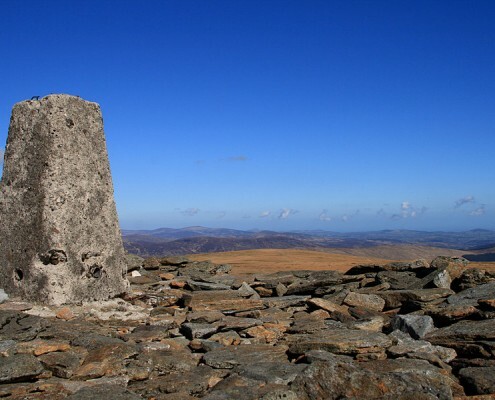 Not only is it located on the Wicklow Way but it is also provides a great base for climbing Lugnaquilla, one of Ireland’s most frequented mountains. 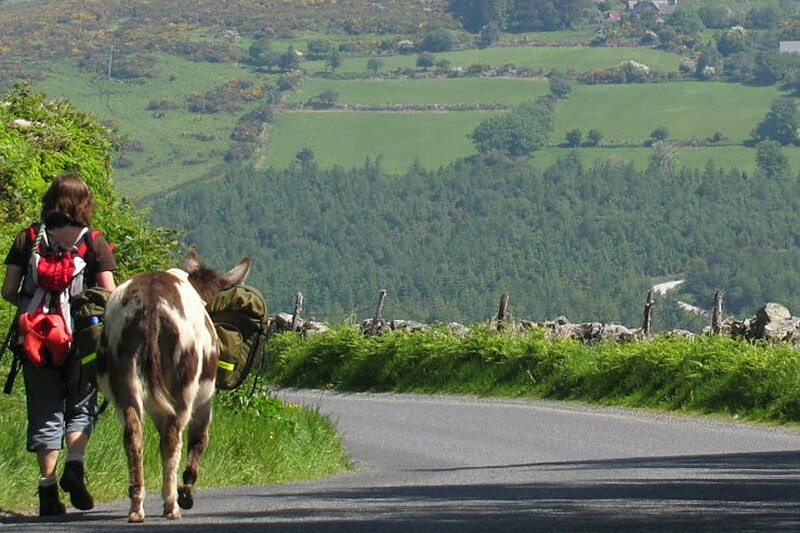 Founded in 1980, the Wicklow Way is the oldest long-distance walking trail in Ireland. It begins in the suburbs of Dublin and weaves it’s way South-West across County Wicklow before finishing up 127km later in Clonegal, County Carlow. The Glenmalure Lodge is located at the half-way point of the trail and provides a convenient break for the more serious of walkers to tackle Lugnaquilla. 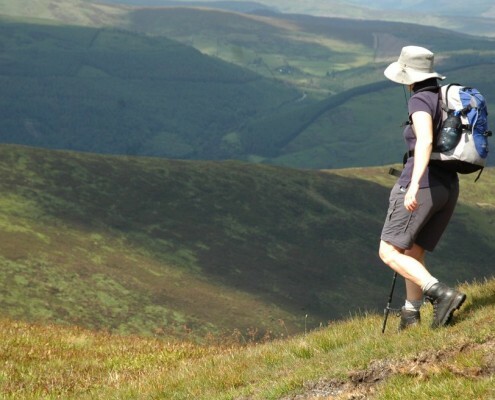 Hill-walkers experienced in mountain navigation will be well rewarded by the many possibilities for one-day walks within and above the wonderful and majestic Glenmalure Valley. 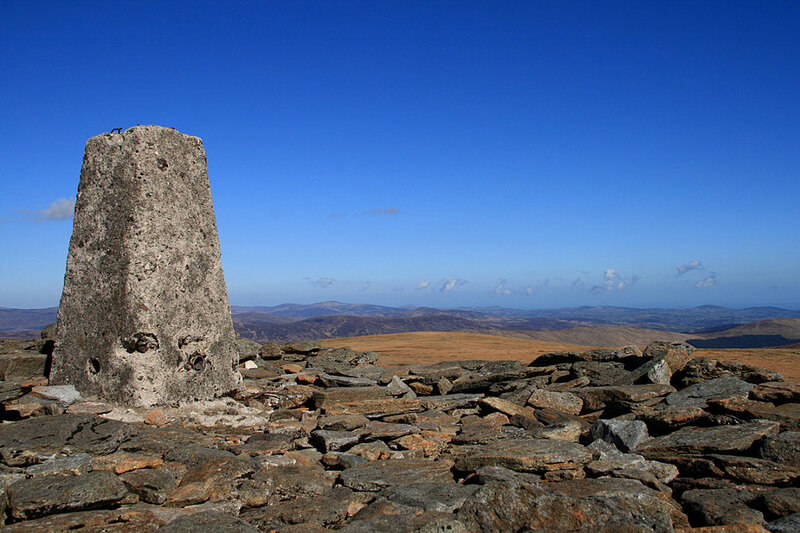 At 925m, Lugnaquilla is the highest mountain in Ireland outside of County Kerry. The potential dangers Lugnaquilla can not be stressed enough and it is by no co-incidence that “The Glenmalure Lodge” acts as a Mountain Rescue Base for search and rescue missions. Every year in the early January, an experienced group of walkers set out to re-enact the famous historic escape from Dublin Castle by Art O’Neill and Red Hugh O’Donnell in 1592. The 55km walk roughly follows the route that they took to Glenmalure where they were to seek refuge under Fiach McHugh O’Byrne. Conditions are always tough at this time of the year and the challenge is not to be taken lightly, after all it was in these conditions that O’Neill perished and O’Donnell escaped with a few amputated toes from severe frostbite! This is another grueling challenge walk that takes place every second year in June. It is organised by the Irish Ramblers Club. 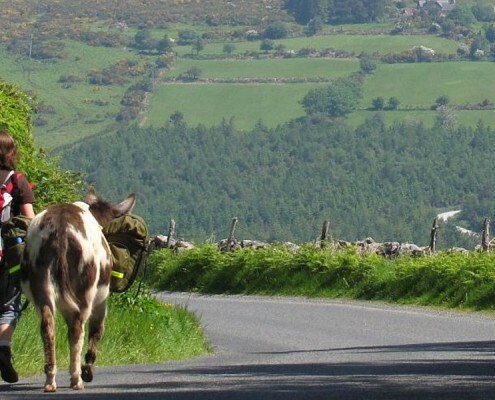 The route starts at Bohernabreena in Dublin and goes south across Wicklow whilst crossing 17 summits with an ascent of around 2,400m. The entire walk is around 50km long and takes an average of 15 hours to complete. Lugnaquilla is one of the final checkpoints on the walk before descending into Glen of Imaal. Tired walkers are most welcome to celebrate their achievement afterwards in the Glenmalure Lodge and get a good nights rest before heading back home. What has to be one of the most unusual ways to explore the country is to organise a donkey walking holiday through the Clissmanns. They will train you to groom, feed and care for your donkey before you set off with your travel companion on a walk around Wicklow. The Glenmalure Lodge is one of the stop-over nights on this holiday.